This post was contributed by Dr Janet McCabe, a lecturer in Media and Creative Industries in the Department of Media and Cultural Studies. ‘America’s possibilities are limitless … My fellow Americans, we are made for this moment, and we will seize it so long as we seize it together.’ President Barack Obama used these words at his second-term inaugural address. His oratory resuscitated the language of the US Constitution and its ambition spoke of an unabashed liberal agenda, and reveals once more how Obama understands only too well how words and texts have the force to reform politics, even change government—something President Josiah ‘Jed’ Bartlett (Martin Sheen) from NBC’s award-winning political drama, The West Wing, also appreciated. Back in 2006, however, when The West Wing ended its seven-year run, the political landscape looked rather different. The beltway series concluded with the inauguration of America’s first Hispanic president—the youthful, charismatic, but unseasoned coalition-building newcomer who talked impassionedly of change and hope, which, at the time, looked idealistic at best and awkwardly contrived at worse. I started writing the TV Milestone book on the show two years later, at the very moment when the 2008 presidential campaign started to ignite genuine excitement—and suddenly The West Wing began to seem rather prophetic. The show prefigured with remarkable accuracy the real presidential campaign: the long and bitterly fought contest between Hillary Rodham Clinton and Obama, a Republican ticket mired in entrenched ideological schism, and a ‘pro-choice’ nominee with appeal beyond his conservative base (only to be held back by it). Somehow The West Wing looked pertinent, as having something vitally important to tell us about contemporary US politics, history and culture. Time in fact had served to skew our sense of this show as somehow significant, and it was this sense of relevancy and import that I set out to explore in the book. Judging the achievement of any show is a precarious business and it was a question I certainly I struggled with as I wrote the monograph. 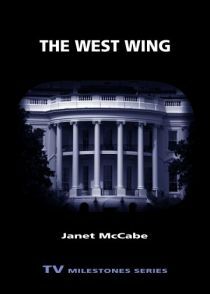 The West Wing began in the closing days of the last Democrat to occupy the White House, a post-Monica Lewinsky era of political scandal and partisan vitriol. Aspiring to turn around the deep cynicism pervading American political life, the NBC beltway drama combined the representation of the quotidian with high-minded governance and debated weighty political questions alongside stories of its all-too-fallible characters. Its visual pace was kinetic, its dialogue smart and witty, and its weekly civics lesson delivered with the help of the latest television image-making technology. And then there was Aaron Sorkin. Bringing new levels of stylish wit and intelligence to primetime defined The West Wing as exceptional; and credit for that went, more often than not, to this very modern of television auteurs. At its height The West Wing was the hottest show on American network television. Big cast, big ideas, big financial investment, big profits—the series proved a powerful asset to its broadcaster as well as the company that produced it, Warner Bros. Television. Studying the media history reveals that the multi-Emmy-award-winning political series mattered because it mattered to those who mattered. The West Wing may have ushered in new ways of representing politics in television drama, but it also contributed to NBC’s distinctive channel brand as well as delivered one of the most elite audiences of any primetime show, which made its commercial time an exceedingly attractive buy. Interviews I conducted with buyers and schedulers from Europe confirmed a similar demographic profile. So while The West Wing may not have scored high in the ratings, it remained a prestigious and important acquisition, attracting a select yet loyal audience among ABC1 adults living in metropolitan areas. Just as President Bartlet, and later Representative Matthew Santos (Jimmy Smits), seduced viewers with oratory of uplift, urgency and unity, so did a young mixed-race senator from Illinois with promise to heal a divided, post-civil rights, post-9/11 America—a commitment he, as president, recently renewed. Of course, the Obama victories took decades to cultivate, beginning with the legacy of civil rights. But somehow The West Wing paved the way for how we have come to read the machinations of political power, as well as how we expect our politics to ‘look’ and sound. In and through oratory, politics, and aesthetics, the series kept alive the history and destiny of the American experience. Obama may tap into that side of the nation that sees itself as idealistic and inspirational, but as I argue in the book it is a side that for seven years The West Wing never stopped talking about. 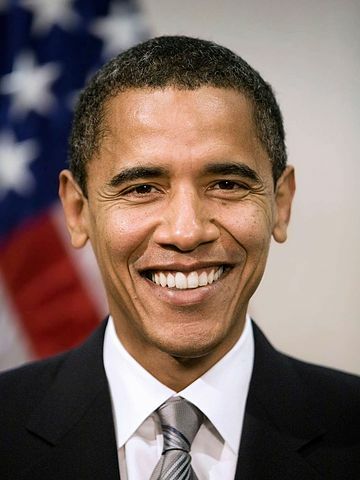 Category: Arts Tags: Arts and culture, Obama, Politics, Politics society and law, television, The West Wing, US by Bryony.